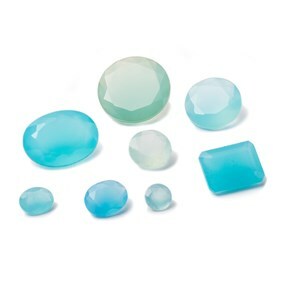 Explore one of our most popular gemstones, chalcedony! 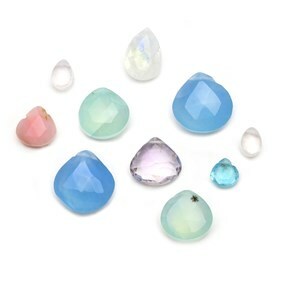 The possibilities are endless with this stone, with a range of colours, shapes and sizes to choose from. 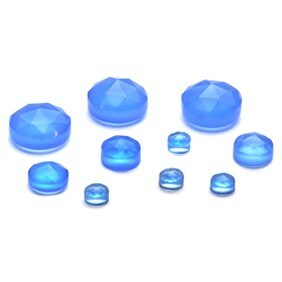 Choose from our collection of chalcedony cabochons, faceted stones and beads below and create eye-catching jewellery designs. 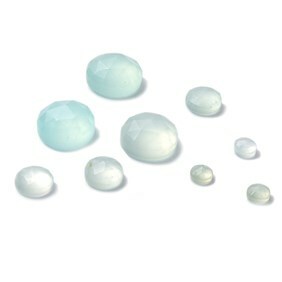 Chalcedony is a type of quartz which comes in a range of colours, with the most common being white, blue and grey. 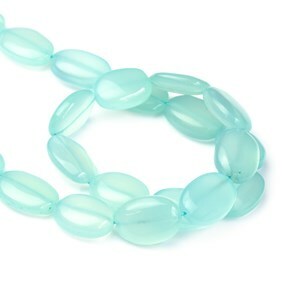 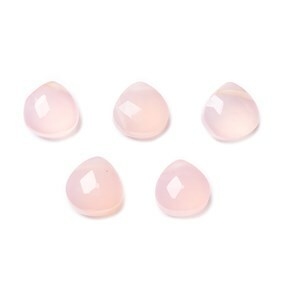 Chalcedony is usually cloudy, but it is most desirable for being translucent. 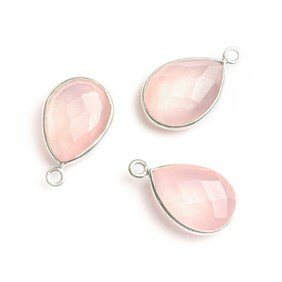 Inclusions are often seen in chalcedony gemstones, which only add to their beautiful appearance. 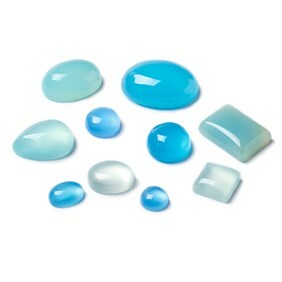 Many chalcedony gemstones are dyed or heat treated to enhance colour variations. 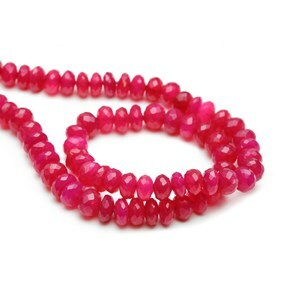 Many semi-precious gemstones are forms of chalcedony, including agate, aventurine, carnelian, chrysoprase and onyx which are mined worldwide. 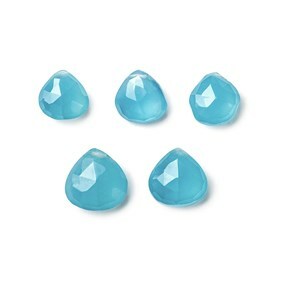 It measures 7 Moh’s hardness scale. 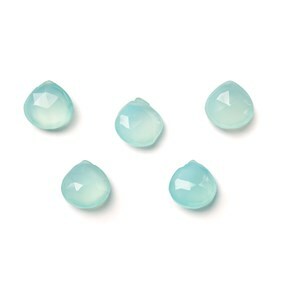 Chalcedony is such a popular gemstone choice for hobbyists and professional jewellers due to its variations and affordability. 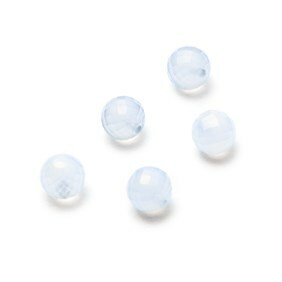 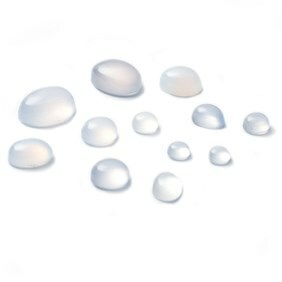 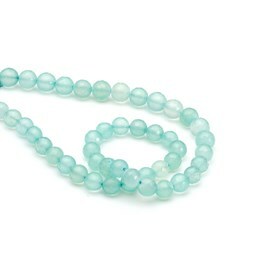 Our chalcedony briolette beads are a popular choice, especially for creating eye-catching pendants or earring drops. 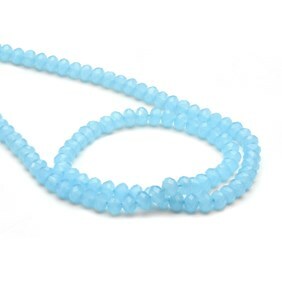 Chalcedony is said to improve one's state of mind and bring emotional stability.